On the team’s last day at the Learning Center, we hosted a Field Day to celebrate the end of the school year. We had a dozen stations–highlighted by dress-up photo shoot, face painting, tattoos, cup stacking and bowling. 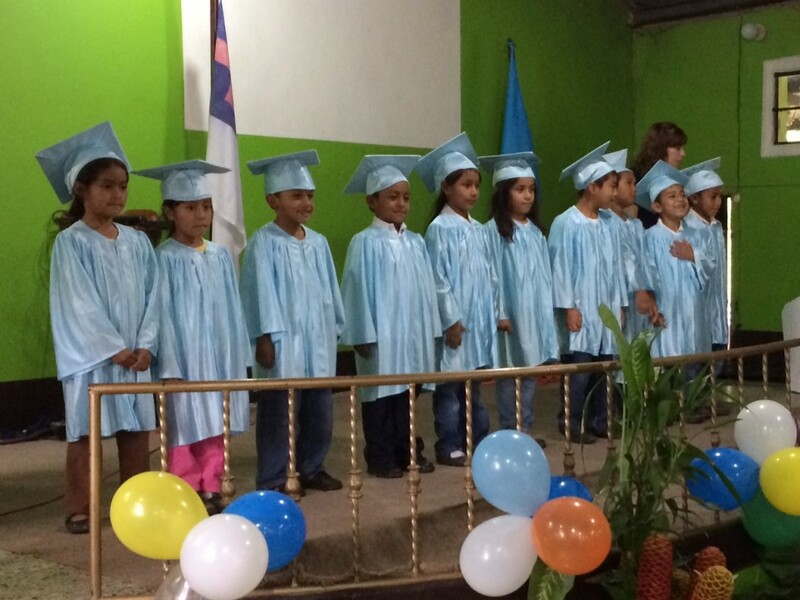 At the end of the shortened school day, we walked down the hill to Iglesia de Samaria, which hosted Kindergarten graduation. Each class performed song and dance to the 200 family members that filled the church. For the main event, 14 kindergarteners walked to the stage in their caps and gowns. After presenting their diplomas, Rut and Mariela spoke to the students, telling them how proud they are of them for their hard work at school, and how much they love them. Rut closed with a prayer and parents took photos. We chatted and hugged students, parents and community members with whom we had bonded during the week. Finally, we were left with the Learning Center staff. Our team has deep appreciation for these teachers and the leadership staff. We expressed our gratitude for their work with the children. With a final round of hugs, we bid them goodbye.